Mangaluru, Aug 9, 2017: The state government has August 7, Monday nominated members and presidents of seven language academies and authorities including president and members of city based Karnataka Tulu Sahitya Academy and members of Karnataka Konkani Sahitya Academy. 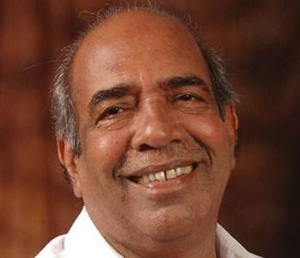 Senior Congress leader A C Bhandary will head the Karnataka Tulu Sahitya Academy. The members are Sudha Nagesh, Vijaya Shetty, Tharanath Gatti Kapikad, Gopal Achan, Vidyashree S, Durga Menon, Shivananda Karkera, Bennet Ammanna, Chandrashekar Gatti Boluru, Vasudev Belle, Niranjan Rai M and Dr Y N Shetty. Barring Dr Shetty, who is from Udupi district, the rest including Bhandary are from Dakshina Kannada district. Members of Karnataka Konkani Sahitya Academy nominated are Mohan Vernekar (Bengaluru); Joachim Stanley, Paul Moras, Damodhar Bhandarkar, Lingappa Gowda (all Dakshina Kannada); Ullas Lakshmi Narayan, Sumangala Sadananda Nayak and Nagesh Anvekar (all Uttara Kannada); Ramu A Mestra, Poornima Suresh and M Ganesh Uppunda (all Udupi); and Santosh Mahale (Dharward). Incidentally, the state government in June had nominated R P Naik, from Dandeli in Uttara Kannada district as the president of the academy. Tulukoota awards announced : The Tulukoota announced its two annual awards here on August 7, Tuesday. Addressing media B. Jayakar Shetty, President of Tulukoota,Udupi, said that the Malpe Ramdas Samaga Memorial Award would be given to the senior Yakshagana artiste Pundarikaksha Upadhyaya at Rajangana here at 6 p.m. on August 11. Vishwesha Tirtha Swami of Paryaya Pejawar Mutt, Vishwaprasanna Tirtha, junior seer, would be the chief guests. The Paniyadi Kadambari Award would be presented to writer H. Sachidananda Hegde for his Tulu novel, Balu Madeti, at the Pawan Rooftop in Hotel Kediyoorcomplex at 3.30 p.m. on August 15. Well congratulations Sir on being appointed as the President of Tulu Academy..